Much of the 18th Century in Ireland is defined by the Penal or Anti-popery Laws. One aspect of these restrictive laws, which also affected Presbyterians and other nonconformist Protestants, was that it was difficult for Catholics to practice their religion. 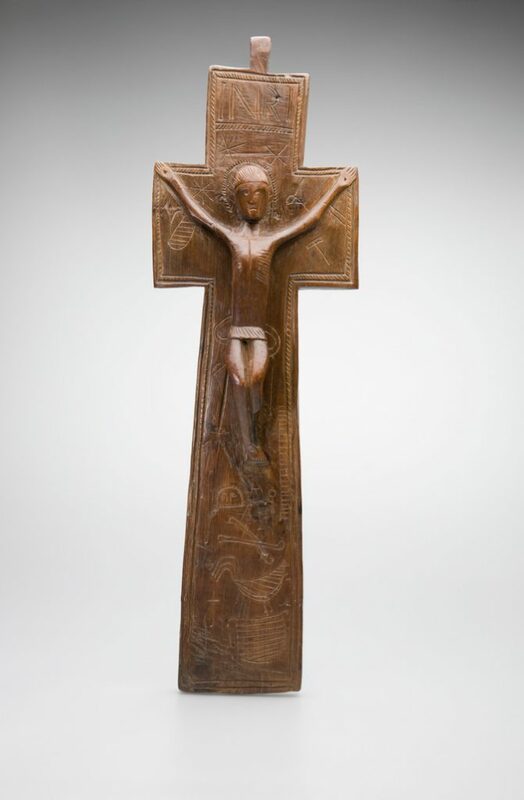 Seen here is a Penal Cross, wooden and decorated dated 1750; all of these crosses, which were also known as Lough Derg Crosses, conform to the same shape of short cross arms and most are heavily decorated.